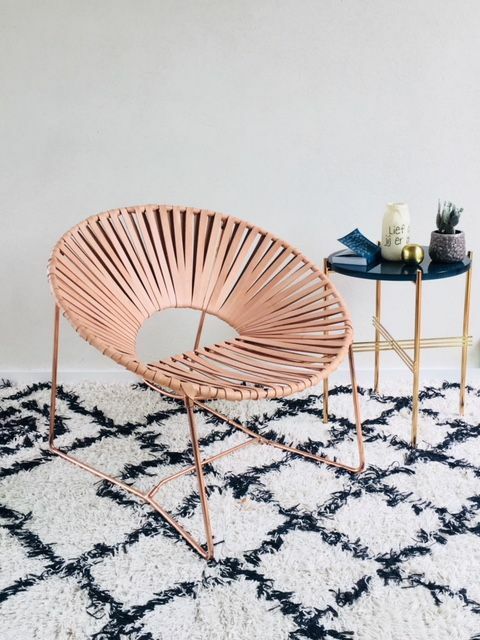 Chair with metallic structure. Electrostatic copper coated. Weaved in leather.